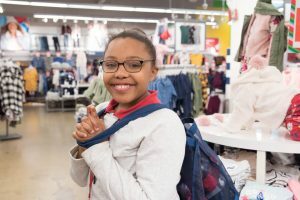 Children in Foster Care often find themselves at a disadvantage to their peers; from after school activities to clothing, or birthday parties to parental involvement at school activities, children in foster care feel left out and singled out. And during the Holidays the disparity between “normal” children and “foster kids” can be overwhelming. While children trade stories of holiday joys and traditions in their homes and family, the children Voices works with retreat into their own private world of isolation and sadness. Those scars can linger for years when holiday after holiday goes by in this way. That is why Voices For Children, with the help of our community, work extra hard at the end of the year to not only provide gifts for these children during the holidays, but also the experience of being able to share with their friends about a wonderful Christmas full of gifts and joy. In this way, we are able to heal the hurts of the past while creating happy memories they can carry in the future. 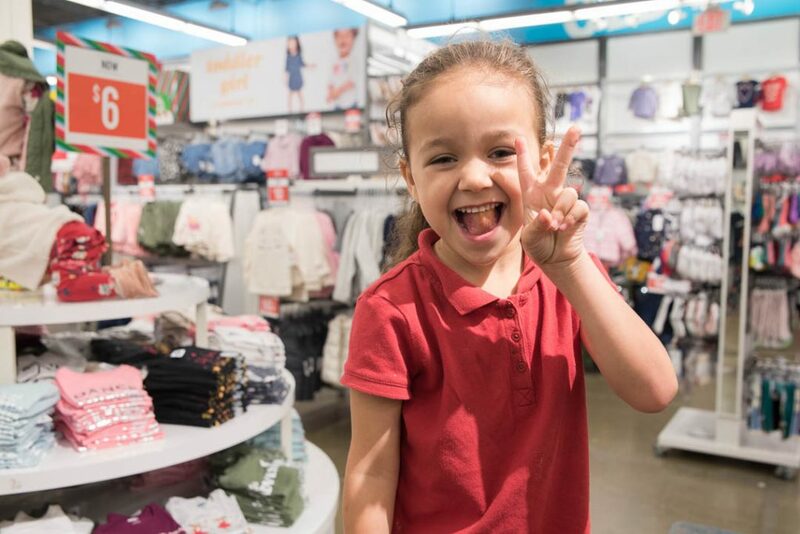 Thanks to our long-time partners, Old Navy at the Shoppes at Dadeland this year we have been able to provide just that for over 100 children in the Miami-Dade County foster care system. For most of these children, there has never been a happy Christmas, much less one with gifts and celebrations. 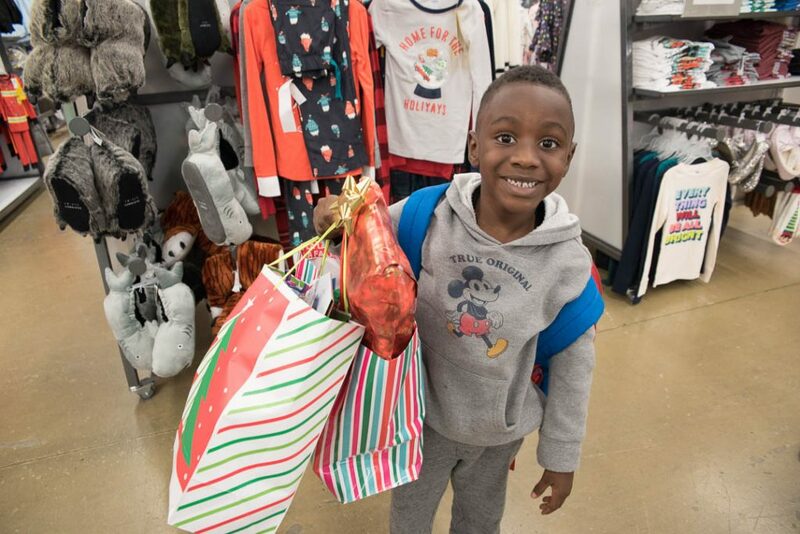 But on Wednesday, December 12th, they were able to experience the Holiday Magic when Old Navy and Voices For Children provided them with gifts from their own wish list and clothing they picked out themselves. 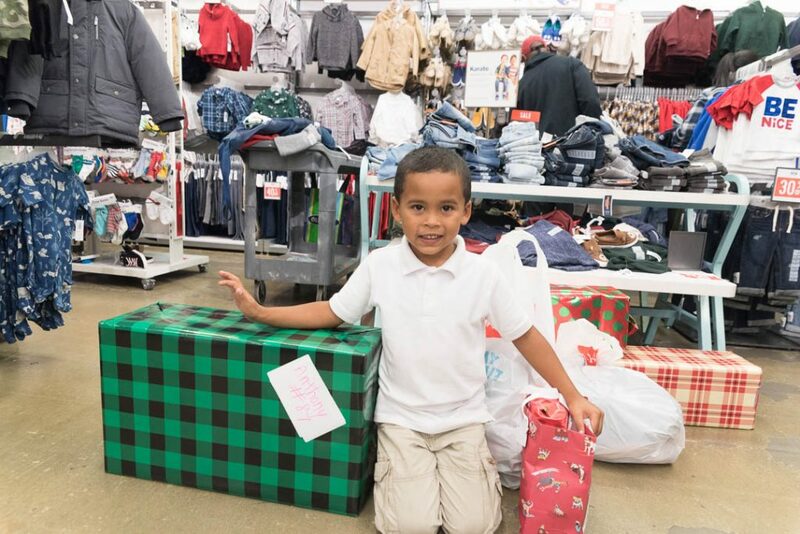 Along with their caregivers and Guardians ad Litem, these children were able to experience that feeling of giving and receiving that every child should feel during the holiday season. To see the joy on their faces and to know that they will be able to tell the tales of their gifts along with their friends are what make the holidays magical. 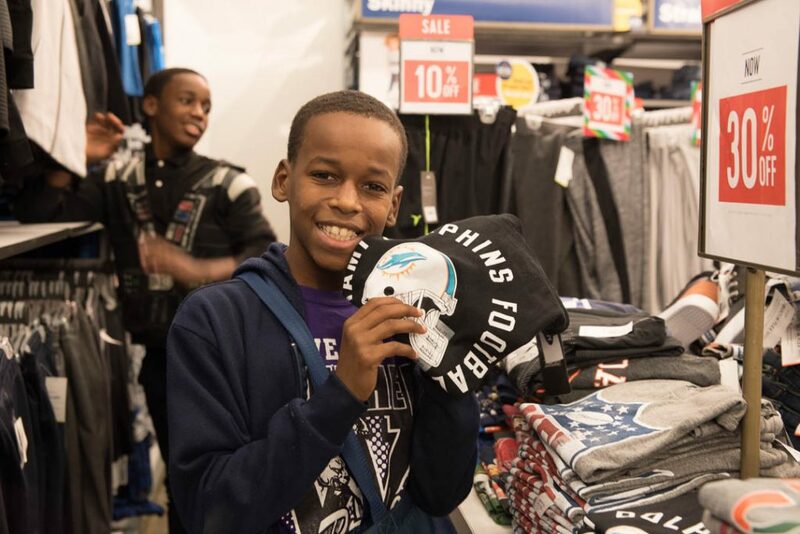 There are over 2100 children in foster care in Miami-Dade County. For them, normalcy is very hard to come by. 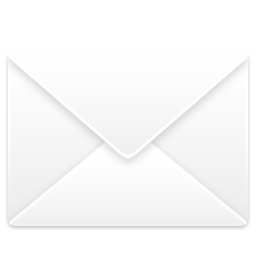 By becoming a Guardian ad Litem, you can help provide this simply by being a caring and supportive guide to a child who has never known someone like that in their life. You can Be A Voice by joining us at events like this and showing them that magic exists.